Dragon Quest-creator Yuji Horii recently revealed that Square Enix is working on the franchise's next chapter. While you might not know it based on the somewhat more limited success the series has enjoyed in North America, Dragon Quest is kind of a big deal. Serving as both one of the earliest progenitors of the JRPG genre as well as one of its most consistent tent poles, the release of a new mainline game is practically a national event in Japan where the series regularly sells millions. It should be little surprise then that Square Enix is readying the development of another one. 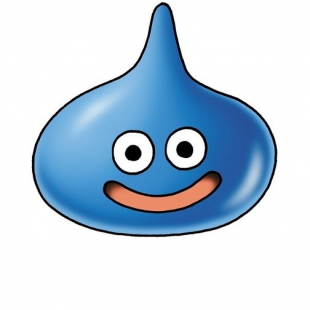 While little has yet been revealed in the way of concrete details, series creator Yuji Horii recently confirmed that the company is already at work "making the next" Dragon Quest. The question that emerges from this, of course, is what the exactly the new game will be. While "next" could probably be taken to mean the next numbered entry in the series (as opposed to its many spin-offs), the lack of confirmation from Horii and Square Enix still leaves that up in the air. That said, with Dragon Quest X being a Japan-only MMORPG and the series last numbered worldwide release being all the way back in 2010, it would only make sense for the company to be developing a new single player title that it can (hopefully) launch outside of Japan. There may even be clues as to what it will entail. While the game itself is being described by its creator in just the vaguest terms, recent trademarks by Square Enix could point to it being subtitled The Seeds of Salvation. Suffice it to say JRPG fans everywhere will be waiting eagerly to learn more.